For correcting axis misalignment (Genu varum/valgum) using hemi-epiphysiodesis. 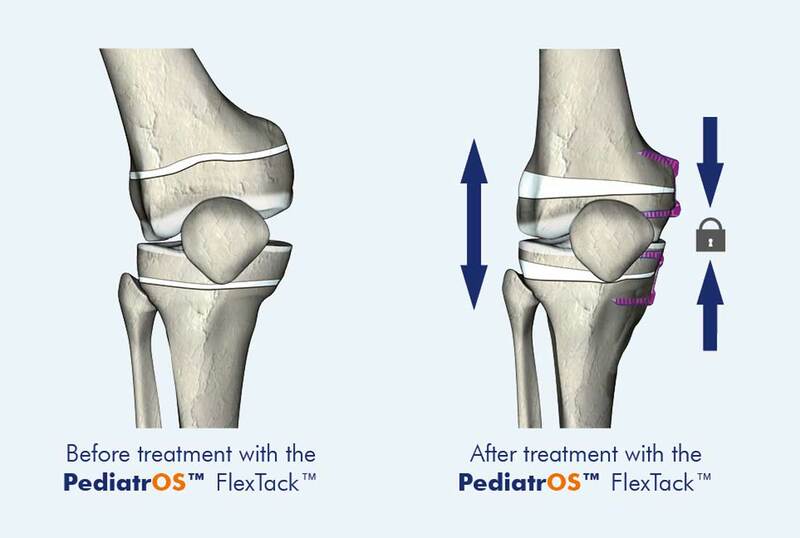 The flexible center area of the anatomically shaped PediatrOS™ FlexTack™ allows it to bend open in vivo in response to bone growth forces, helping steer pediatric and adolescent bone growth gently and precisely. 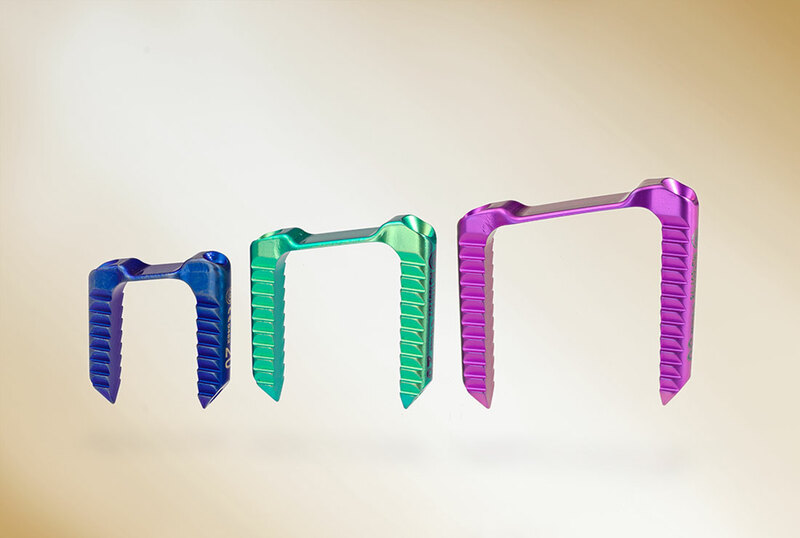 The trapezoidal design of the PediatrOS™ FlexTack™ staple is closely aligned to the anatomy of the femur and tibia. 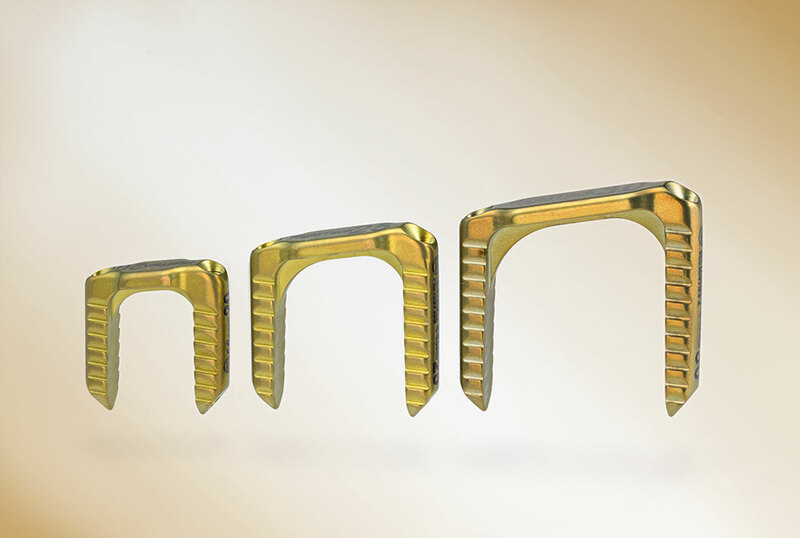 Cannulated staple legs allow precise placement using K-wires. 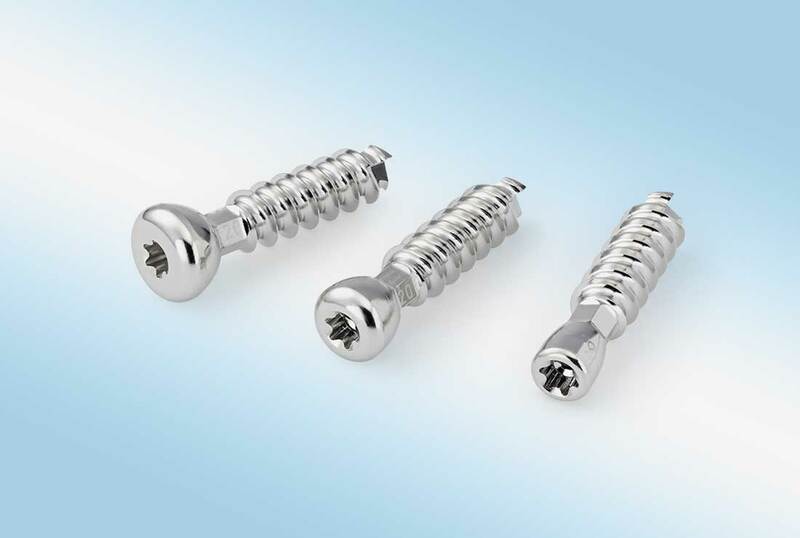 This technological improvement on conventional implants for correcting varus/valgus misalignments reduces intraoperative fluoroscopy times and can be implanted using minimally invasive techniques.